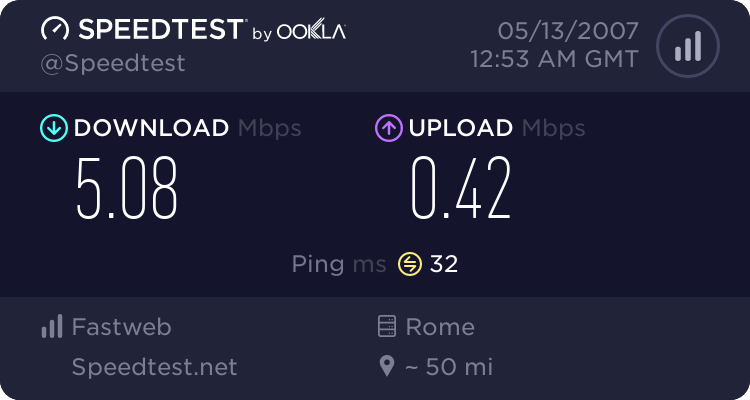 A few hours later, I’m still experiencing problems with my cable internet connection, to the point I find it unusable. Downloading web pages takes up to a minute, and I can’t watch even a short YouTube video without it stopping at least a few times. However, when I tether my iMac to my iPhone speeds are adequate and page and video load times aren’t a problem. Here are my speed tests from my iMac over my iPhone. It feels like a router somewhere is dropping packets. While the speeds have only a minimal measurable difference, the load times when actually using the two different connections are marked. 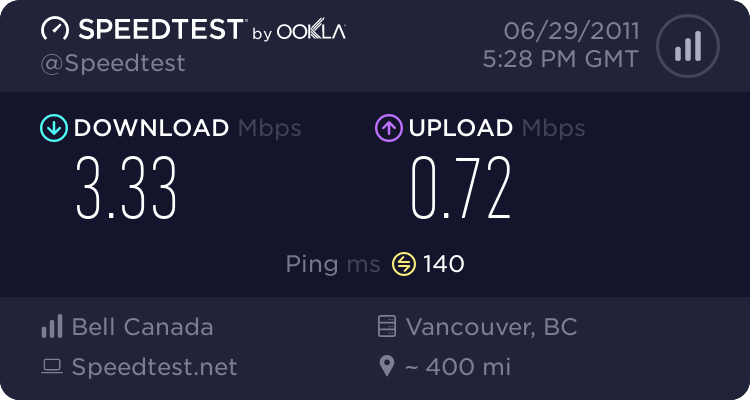 Over my Northwestel cable modem I am forcing myself to be patient as pages stutter in loading and YouTube video feeds stall regularly; over Bell, the pages and videos are loading in a smooth, consistent fashion. A few friends who also have cable modem accounts but aren’t having problems have shared their traceroutes with me. We’ve tested to Northwestel’s web site host in San Jose, California. Most of the route is the same, save for the fifth hop. My fifth hop is an IP address that does not have reverse-lookup configured, 198.135.216.102. Their fifth hop is a different address, 198.135.216.61, which is properly configured with the correct reverse lookup of so-410-0-drt02-edtnabss.nwtel.org. This fifth hop is a router connecting to the outside world, a router in Edmonton: 64.230.177.85 (core3-edmonton_3-0-1.net.bell.ca). I’m not sure why Northwestel would be routing some cable customers differently than others, but this seems to be the case, and there appears to be a problem in the routing between whatever Northwestel device handles the IP address 198.135.216.102 and the device that handles 64.230.177.85 for Bell. What’s also interesting, is that very different routing scenarios may be applied cable modems users depending on… something. And, depending on which routing scenario is applied to you, your traffic will either be routed through the IP address that’s causing me problems (198.135.216.102) or the one that’s not (198.135.216.61). You can get new and/or different routing by plugging different devices into your modem or turning the devices on and off. 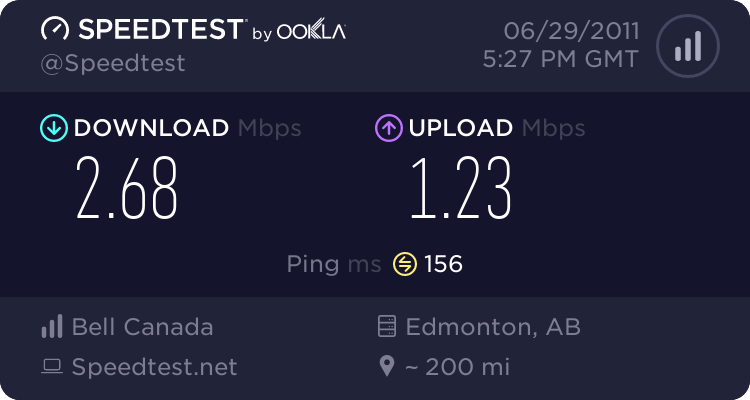 I’ve been in contact with a very helpful Northwestel network engineer on this issue and he has confirmed that both IP addresses, 198.135.216.61 and 198.135.216.102 are different interfaces on the same router in Edmonton. He wasn’t able to identify precisely what may be causing me problems. However, he has committed to helping me more over the next few days as I spend more time investigating the matter and collecting more data. 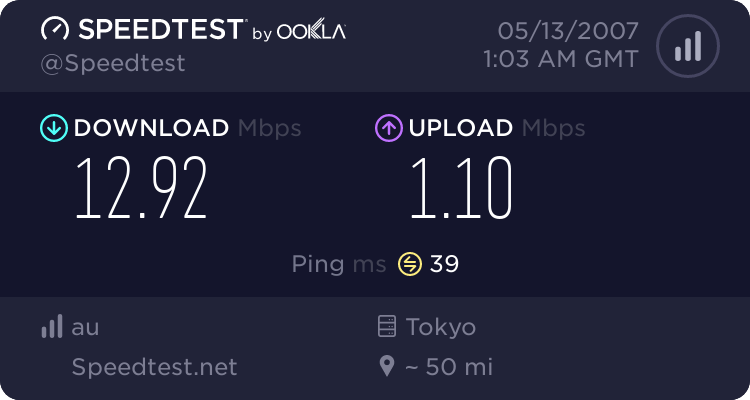 I’m posting this just in case anyone else is having similar problems, or can provide additional insight into what may be causing me problems when my traffic is being routed through that one network interface on that router. Internet Report: More Backhoe Blues in the North? The internet in the North seems to be sucking wind (again). Interestingly, however, the connection to Yellowknife is reasonable. And by reasonable, I mean not sucking as bad as the others. 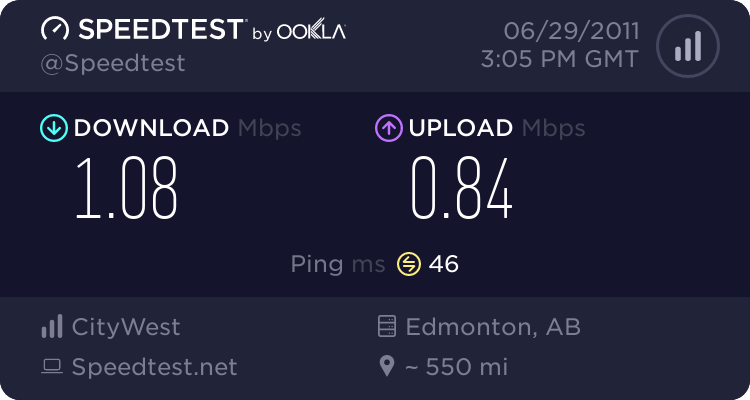 This is likely due to the pseudo-redundancy Northwestel recently implemented, however. 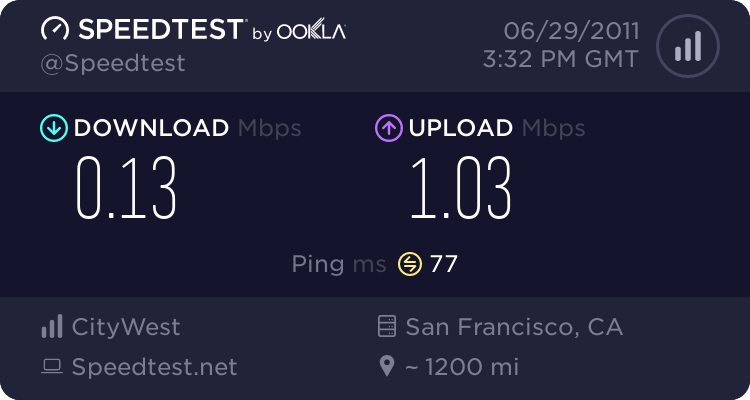 Anyone else out there experiencing slow internet? 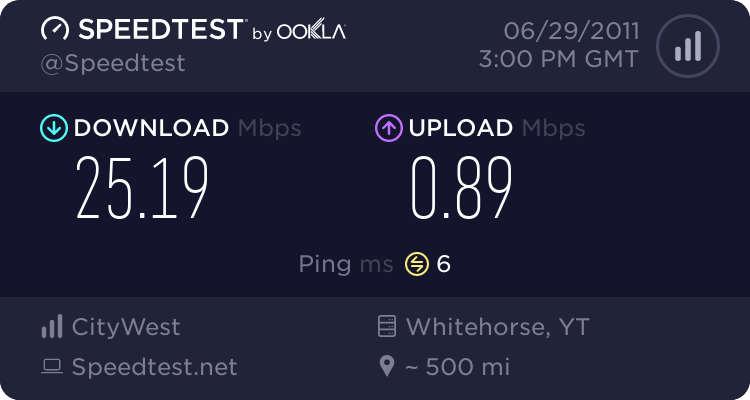 Northwestel’s support line reports no problems, but I find browsing the net today painfully slow. Is the iPad just a poor man’s laptop? I have no doubt that Apple’s head honcho, Steve Jobs, uses his iPad au naturel. But I’m not so sure the rest of the world is buying into his less-is-more philosophy. Even as the world has already become overburdened with iPod and iPhone cases, we seem to be entering an era of iPad keyboards. Oddly, most of this new niche of iPad accoutrement seems to be designed to make everyone’s favourite slab of glass less like a tablet and more like a laptop. Qmadix is all-in on the laptop replacement look with their "Portfolio with Removable Bluetooth Keyboard for iPad 2"
Zagg pretty much opened up the floodgates of this market with their "Logitech Keyboard Case by ZAGG for iPad 2"
The Crux Loaded doesn't leave any doubt that laptop replacement is the goal. Their demo images even depicts an iPad running a full version of Photoshop. So what’s your take? Are these manufacturers on to something — is the iPad a laptop wannabe? Or is the iPad at its best a la Jobs: without any add-ons? How many apps do you actually use on your smartphone? So you’ve got a smartphone, an iPhone or Android device, whatever. How many apps have you installed on it? How many do you actually use? An interesting post over at 37signal, Ten Apps is All I Need obviously suggests that 10’s the magic number. There are a slew of other apps that I use irregularly, and then a ton of games that my son is indiscriminately wont to grab my iPhone our of my hand and play. In total, though, I have about 176 apps actually on my iPhone at any given time. And I’ve got over 1,000 in my iTunes library. Clearly, most of my apps just sit around collecting dust. But, you know, it’s my job to download and try out random apps, so I’m probably quite different than the average smartphone user. What about you? How many apps are on your smartphone? How many do you actually use? Like every other geek, I get wrapped up in the possibilities that technology offers. I get lost in the gee-whiz and the whiz-bang. I blow hours playing with new gadgets and apps just to see what they do, or how they behave. Then my imagination ignites and I figure out how these things might actually be useful. Inspired by my new discoveries (and the endorphins of geek play), I am then driven to evangelize. I head out into the streets (okay, I really just fire up my web browser) with my loudspeaker in hand (aka my Twitter account). On Monday Apple will introduce a new service called iCloud. It will instantly make what’s known as “cloud computing” mainstream, changing the way we use computers in a fundamental way. We’ll no longer store our stuff – our files, music, and movies – locally on our computers. It will all be moved to the internet for instant access from anywhere, anytime, and on any device. Except for Northerners. Our lamentable internet services aren’t nearly ready for such a significant paradigm shift. How Big is Apple’s New Data Centre? In my upcoming column I mention in passing that Apple’s new iCloud data centre is 500,000 square feet. That sounds pretty big, but it’s really just a number. So I began to wonder: how big is that compared to something I know, like the city I live in. And here it is down by Wal-Mart and Canadian Tire (pretty much the two largest buildings in Whitehorse, I believe). And, for my mom’s benefit, here’s the Apple iCloud data centre in her neighbourhood.